A few days after deciding New York wasn't for him, the Babe Ruth of Japan has signed with the Angels. Shoehei Otani, the highly sought after pitcher/outfielder, confirmed his decision on Friday afternoon through his agency. "This morning, after a thorough, detailed process, Shohei Otani has decided to sign with the Los Angeles Angels,” Nez Balelo, the co-head of Otani’s agency CAA Baseball, said in a statement. “Shohei is humbled and flattered by all the time and effort that so many teams put into their presentations and sincerely thanks them for their professionalism. In the end he felt a strong connection with the Angels and believes they can best help him reach his goals in Major League Baseball. "I want to thank the clubs and everyone else for respecting our intent to make this very important process as private as possible. We were resolved to having a fair, methodical process. Teams clearly put in a lot of work, and we are grateful for that. The past few weeks also further demonstrated Shohei's incredible thoughtfulness, attention to detail and determination to make an informed decision. He read every page of every presentation and listened to every word in each meeting, and he was so impressed that it was not an easy choice. While there has been much speculation about what would drive Shohei's decision, what mattered to him most wasn't market size, time zone or league but that he felt a true bond with the Angels. He sees this as the best environment to develop and reach the next level and attain his career goals. More than ever, I believe this is not only a special talent but a man of special character, and like everyone else I'm excited to see him in Major League Baseball." 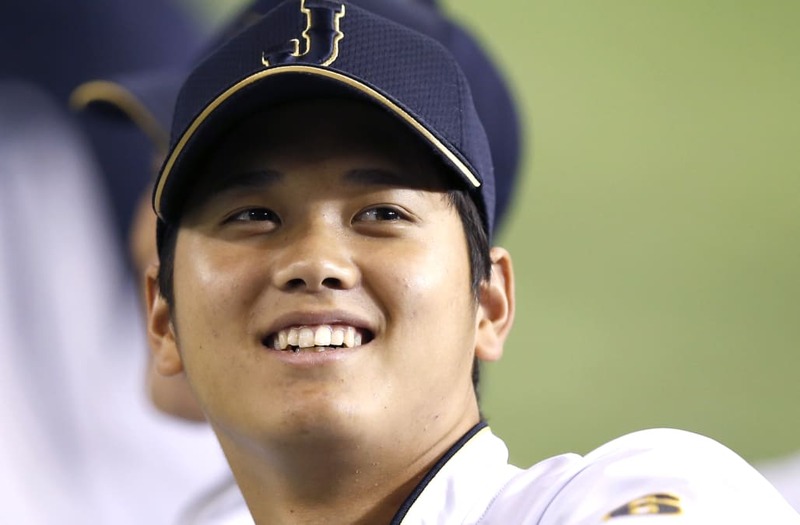 The Yankees were previously considered to be one of the favorites to land the 23-year-old two-way Japanese star, who was posted by the Nippon Ham Fighters on Dec. 1. But GM Brian Cashman told reporters Sunday that the team had been informed the club wasn't among the ones invited to make an in-person pitch to Otani. “Not everybody can play in New York or wishes to play in New York," he quipped.